Mark Felix will be putting Innova’s high-strength products to the test at the annual sign making, display solutions and digital printing exhibition in March. 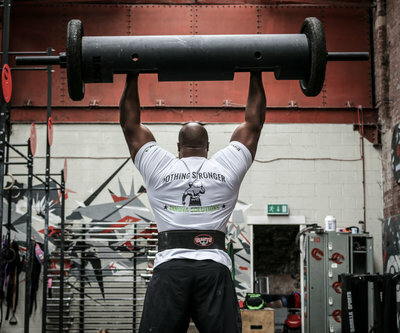 Innova Solutions are bringing 11 times World's Strongest Man competitor, Mark Felix, to the Sign & Digital UK conference at the NEC in Birmingham on 28th March 2017. 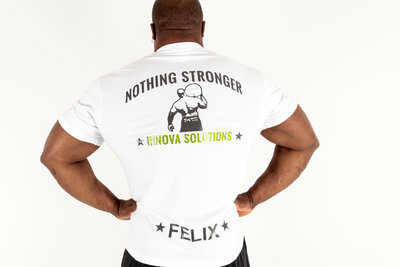 Felix, who is widely regarded as having the strongest grip in the world, has been the face of Innova for over 6 months, since teaming up with them in July 2016 to help promote their range of high-strength structural adhesives and bonding tapes. 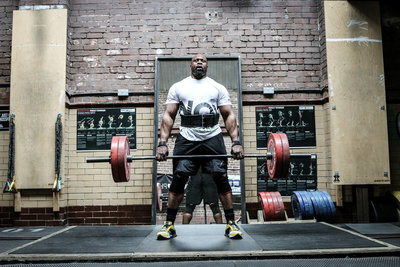 Visitors will be able to meet Mark, take photos with him and observe a number of strength demonstrations by the man himself. Innova Solutions produce a high-strength adhesives and bonding tapes for use within the signmaking, automotive and construction industries. They’re experts in the industry and regularly offer their customers practical advice on all of their bonding and signmaking problems, something which visitors to the Sign & Digital UK exhibition will be able to take advantage of. There are high strength bonding tapes and eco-friendly adhesives for an infinite number of applications. Yet when you want one to meet your specific needs can you find the guidance you need? When Innova Solutions started trading in 2002 we didn’t think so. In fact that’s one of the reasons for our very existence. How much better would it be, we thought, if you knew exactly why high strength bonding tape A was better for your application than high strength bonding tape B? That’s what we do, with an enthusiastic team who know their stuff and take real pride in supplying exceptional adhesives and the practical advice to help you buy wisely. The environment has always been a part of our ethos because it’s right outside our door. With the beautiful Lancashire countryside all around us, we’re reminded daily that what we do – and how we do it – matters. That’s why so much of what we do blends high specification capabilities with an environmentally-friendly formulation. Take the new NovaBond XS (Extra Shear) range of foamed acrylic tapes. They’re cured by UV, so no solvents are present in the production process or final product. Or NovaSol NC, a non-chlorinated range of plastic welding adhesives which are safer to handle and dispose of. For signage, construction, automotive and point of sale, find the high strength bonding tapes and eco-friendly adhesives for your application at Innova Solutions. 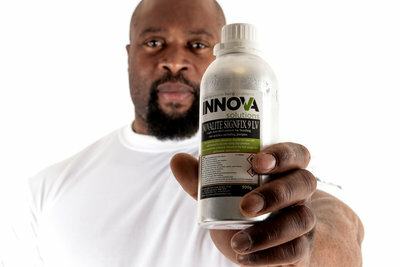 Lancashire based adhesives firm, Innova Solutions, and their sister company, NovaDURA, were joined by none other than 11 times World Strongest Man competitor, Mark Felix, at the Sign & Digital UK event in Birmingham last week as they championed their high strength product range. In the midst of what has been a successful year for Lancashire based adhesives firm, Innova Solutions, they’ve been awarded ‘B2B Marketing/Integrated Communications Campaign’ alongside their marketing agency, 3ManFactory, at the Prolific North Awards 2017 after being shortlisted against some other seriously impressive campaigns. 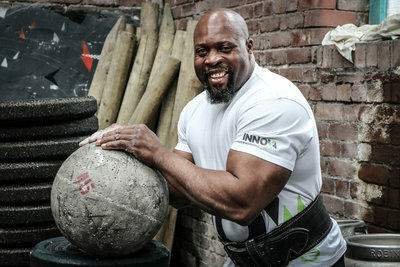 Adhesive and bonding specialists, Innova Solutions, enlist Bolton strongman Mark Felix as the face of their range of high strength products.